← Why Write Fiction for Adults? In the example of our mistrustful protagonist, a lesser flaw might be undiplomatic, meaning he says and does things that indicate his core belief that most people aren’t honest or deserving of respect or consideration. When dealing with people, he might say whatever comes to mind without caring if it offends, offer hurtful honesty or deploy sarcasm. Alternatively, a mistrustful character could be secretive, overprotective, abrasive or unfriendly. Need help visualizing your character’s FLAWS? Try our Character Pyramid Tool. This entry was posted in Character Flaws, Character Traits, Character Wound, Characters, Show Don't Tell, Uncategorized, Writing Craft, Writing Lessons. Bookmark the permalink. Hmmm. I wonder how I will write a character flaw on Elewi the antagonist in the literature book ‘the white wizard’. I wish I knew because I am a student and this is my grandmother’s phone. I have been wondering around on the Internet looking for an answer on how to write a character flaw on the antagonist in my literature text until I found you people. Please help. I am using my grandma’s email. . I am brand new to creative writing and taking a course. But I seem to be having great difficulty thinking up character weaknesses. Can you give some more examples? I keep think of thinks like, maybe they sleep late, or have diabetes.. is there a trick to coming up with weaknesses? Maybe think of another character in another book? But I don’t want to copy someone else’s characters either.. Are weaknesses always abstract or emotional? or could a weakness be, for example, a broken leg? H, James. Congrats on taking the jump to creative writing. I hope you find it as rewarding as I have. There are different kinds of character weaknesses; some are physical, like the diabetes and broken leg example that you mentioned. For those, I think it would be best to think in terms of goals, since weaknesses always get in the way of a character getting what he most wants and needs. So think of what your character wants, and ask yourself: What about his body would make it difficult for him to achieve that goal? Maybe it’s obesity, a speech impediment, being too short or too tall, having diabetes or chronic sinusitis or bad breath…the possibilities really are endless. But the biggest weaknesses that block our characters are often their flaws. 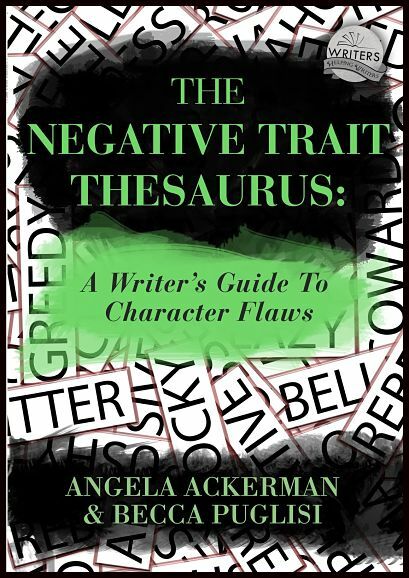 Angela and I have written a thesaurus on this, cataloguing the different kinds of flaws that might plague a character, what might have caused those flaws to form, how they might manifest, etc. To see them, just browse our list of entries for the Character Trait Thesaurus. If that looks like information that might come in handy, we expanded the list when we published this thesaurus in book format. It’s separated into two separate volumes, one for positive attributes and one for character flaws. You can find information about both books on our Bookstore page. I hope this helps. Best of luck with your writing! My reason for commenting was more to do with my journal notation. I copied a snippet of the Blog to my journal for reference and magic, there was a link included (I usually copy the text then the URL) – this really impressed me – would you be able to share the secret (plugin)? I’m hesitant to say anything, but it’s bugging me… the fatal flaw is the tragic flaw. What you refer to as the fatal flaw is actually an impeding or foundational flaw (not official terms). The fatal flaw is called fatal because it’s what leads to the character’s demise in classic tragedies. In modern times, it can simply be what causes the character to ultimately fail to achieve his goals. 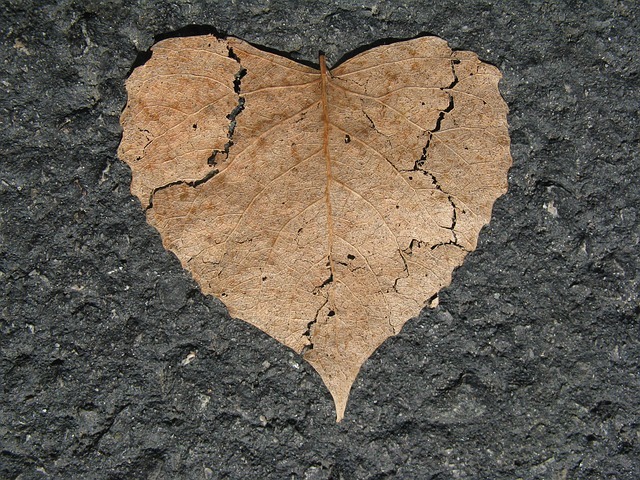 But a fatal flaw by its nature is not overcome. I think it depends on viewpoint and definition. If coming from the viewpoint that the fatal flaw is the thing that will be the character’s undoing, then yes, in that respects fatal and tragic are the same thing–if the character refuses to reject it for the defective “emotional armor” that it is, there is only one ending: tragedy. However, if you view the fatal flaw as the trait that stands directly in his path, his “own worst enemy” so to speak, and this flaw and the fear it masks is rejected through the achievement of self growth, the flaw is not tragic as it failed to hold the character back. Think of a race car that is running out of gas. If the driver refuses to stop in the pit and fill the tank, it will result in him losing the race. But if he maintains his car as needed, a lack of gas is no longer a factor in the outcome of his race. It will not be his undoing. And don’t ever hesitate! 🙂 I don’t mind clarifying where I’m coming from. This is a difficult ( should I say grey area?) because in my research “fatal” and “tragic” are sometimes used synonymously, and other times not. Angela, boy do I need to crack open my character flaws book! And I’ll check out the pyramid. Thanks! I know what I’m getting myself for Chrismakah. Pingback: Friday Link Pack 11/08/2013 | I make stories. I love the new books. They made wonderful additions to my collection. The Thor/Loki situation is an excellent example of how a single character flaw can grow and fester in a person until he not only turns on his own people, but causes his own demise. I think sometimes we make our villians one-dimensionally evil, and forget to let them start with a smaller weakness that grows out of proportion. Great post! I’d never consciously thought about how we can categorize flaws into 4 buckets that way. Great insight–thanks! Interesting lesson on flaws. Thank you. I’m going to have to think about this some more as it relates to my wip. Very helpful, as usual. I am at the Highlights Whole Novel Historical Fiction workshop this week, and this morning one of the instructors, Nancy Castaldo, started a resource list for all of us. The Emotion Thesaurus was the very first thing she listed, then we spent quite a bit of time talking about it. I will be adding this site to the list as well. Thanks for continuing to give us writers such great help. Oh wow! I’m honored Nancy thinks so highly of The Emotion Thesaurus. Becca and I know emotion is difficult to convey accurately and in a fresh manner, and is one of the ways that can bog writing down. Our goal for the ET was to give writers a way out by providing brainstorming lists so they can figure out how to show an emotion and then get right back to writing. Glad it’s working!